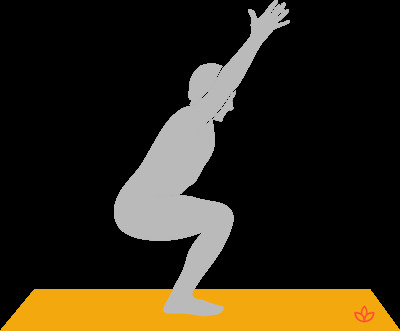 Definition - What does Mountain Pose-Chair Pose Flow mean? Mountain pose-chair pose flow is a yoga posture-inspired mini-sequence reputed to have weight loss benefits. It also provides all the benefits of the constituent yoga postures of mountain pose and chair pose. 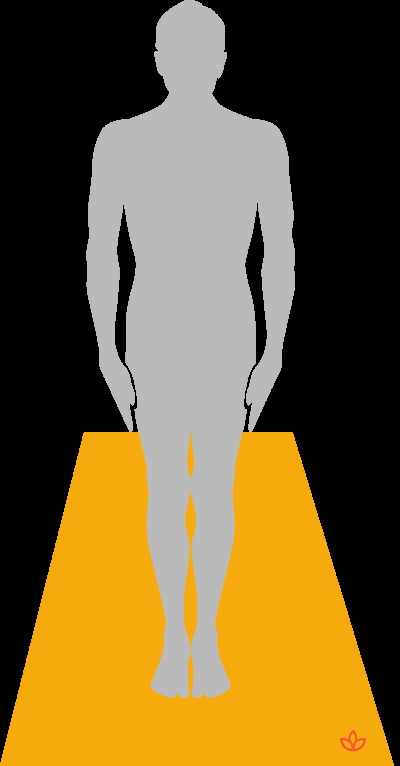 The sequence starts in mountain pose, then on an exhalation, the arms reach down and behind the body, the knees bend and the hips lower, as if sitting in a chair. The legs remain in this position while on an inhalation the arms reach up with the upper arms by the ears and the palms facing each other, coming into chair pose. On an exhalation, the yogi returns to mountain pose, ready to begin the sequence again. It is suggested that the flow is repeated at least 10 times for weight loss benefits. The Sanskrit names for mountain pose and chair pose are tadasana and utkatasana, respectively. This combination of postures is also said to be therapeutic for those suffering from flat feet. Mountain pose-chair pose flow may be practiced on its own or as part of a whole vinyasa flow sequence. As a modification, it can be practiced by keeping the feet hip-width apart instead of together. The arms can also be taken straight forward instead of reaching overhead, to make it more accessible.